On 7th November 2014, it was announced by The Prime Minister’s Office, 10 Downing Street: “The Queen has approved the nomination of the Reverend Philip John North to the Suffragan See of Burnley.” It was filed under ‘Arts and Culture’, which, for David Cameron, is precisely where the Church of England may be neatly classified – a little way but not too far down the via media of cultural creativity and the equal society; somewhere between the Royal Shakespeare Company and the campaign for superfast broadband. Philip North is from the Traditionalist wing of the Church, opposed to women’s ordination as priests, and even more so to their consecration as bishops. It is a matter of theological ontology, not a denial of gender equality. But it is a curious thing to witness how smilingly respectful of the liberals the traddies tend to be, and how lip-curlingly scornful of the traddies the liberals so frequently are. Mass, Mass, Walsingham, Mass; Mission, Misogyny, Mass and Mass. That’s the popular perception of your average Anglo-Catholic, infused with gin and bestrewn with lace, proceeding from St Stephen’s House, Oxford, which is still churning out priests of orthodox personality – men who love God in their hearts with the joyful desire to make Him known. Libby Lane made history in York Minster; Philip North continues it. His consecration today as the Suffragan Bishop of Burnley in the Diocese of Blackburn is the incarnational declaration of the Church of England’s commitment to ecclesial unity; it is spiritual fellowship in praxis, for there is only one holy, catholic and apostolic Church, and still we pray, as Christ Himself prayed, for its visible unity. You might think it awfully confused for a church to be consecrating women as bishops at the same time as consecrating men who are opposed to women bishops, but the Church of England is a human institution, and human beings have an inordinate capacity if not the innate tendency to sustain head-heart tensions and maintain mutual exclusions in the realms of morality, spirituality and theology. Consider how we daily excuse our inconsistencies and justify our hypocrisies; how we say one thing and feign another. “For that which I do I allow not: for what I would, that do I not; but what I hate, that do I,” wrote St Paul to the church in Rome. The Church of England has been doing what it hates and hating what it does since 1534, perched tentatively between its Catholic and Reformed lobbies, held together in a coalition of theological confusion by a transcendent liturgy and love for an order of beauty, peace and grace. Men, women, Jews, Greeks, Tories, Socialists, Papists and Calvinists – all are welcome to worship in our pews. If we occasionally appear aloof or embarrassed, it is because we have yet to learn your language. Our church is partial and deficient, and will remain so until its ultimate eschatological fulfilment. The Christian world is divided and fragmented because humanity itself is fractured and disparate. The Church of England claims no ecclesial perfection or pretence to infallibility, principally because it does not believe in itself more than its commitment to catholic communion and its mission to salvation. Since the time of the Reformation, Anglicans have acknowledged that we are but a branch of the whole catholic Church: our ecclesiology and liturgical traditions are designed to meet the pastoral and spiritual needs of ordinary people – people who get out of bed on the wrong side, go to a job they hate, argue with lovers, bawl at the kids, knock back the whisky and kick the cat. 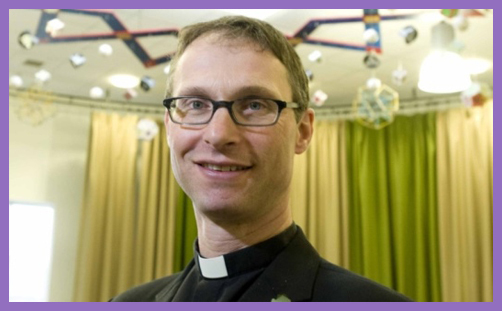 The Rev’d Philip North is, by all accounts, a caring, humble and compassionate priest of considerable ability. He doesn’t love the historic formularies of the Church of England more than he loves people. Nor does he love Cranmerian prose more than the words of Jesus. In his quest for holiness, in his walk of faith, he happens to believe in the distinctiveness of maleness in Church leadership; that there is an unbreakable bond of apostolic succession between those hands which were first laid on the head of St Peter, and then on St Linus, and then (to cut a long ecclesial story short) on St Gregory the Great, who laid hands on St Augustine of Canterbury, who laid hands on St Laurence, who laid hands on St Mellitus, who laid hands on St Justus, and then (to cut a long ecclesial story shorter still) on the Rev’d Dr Martin Warner, the Rt Rev’d Glyn Webster and the Rt Rev’d Tony Robinson, who gather to consecrate Fr Philip North as Bishop of Burnley. Of course, some of these hands have wandered or been misplaced in the archives of the centuries, but the succession is incontrovertibly male. Today, let Anglo-Catholics put aside all talk of ‘taint’, shibboleths and unchanging tradition, and let the liberal-progressives suspend their assertions of cultural enlightenment, feminism and equality. Let us agree, in gracious fellowship and paradoxical ecumenicity, that Philip North is a bishop at least to the biblical and sacramental extent of Libby Lane. Let the arguments about doctrine and criticisms of reform rage another day, for on this day he needs our prayers that his ministry might flourish as abundantly as that of all those in the Church who laud his conviction.